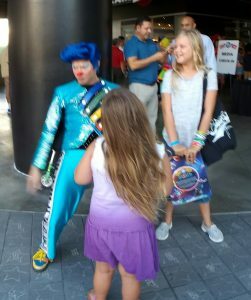 Ringling Bros. & Barnum & Bailey presents OUT OF THIS WORLD! : Don't miss this show! 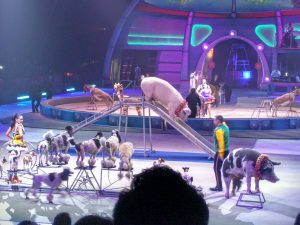 You are here: Home / Archived Content / Ringling Bros. & Barnum & Bailey presents OUT OF THIS WORLD! 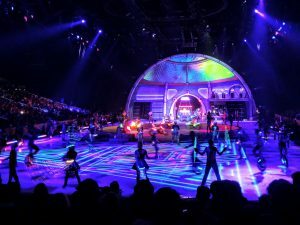 Ringling Bros. & Barnum & Bailey presents OUT OF THIS WORLD! Don't miss this show! Karla Earley said “We had a great time. It was fun that they added a story line. I think it made their time go but a little quicker. It was also neat that it was performed on Ice”. Don’t miss this fun show! There are still upcoming performances! Tickets available for purchase online at Ticketmaster.com or HondaCenter.com, charge by phone at 800-745-3000 or in-person at the venue Box Office. *tickets may be subject to service charges & facility fees. Self Disclosure: No compensation was received to post. We did have a giveaway and a winner was selected. Photo Credit: Karla Earley.